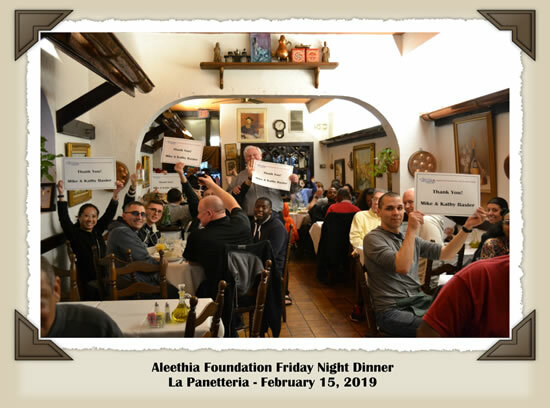 Aleethia’s “Friday Night Dinner” was held at La Panetteria, Bethesda Md. 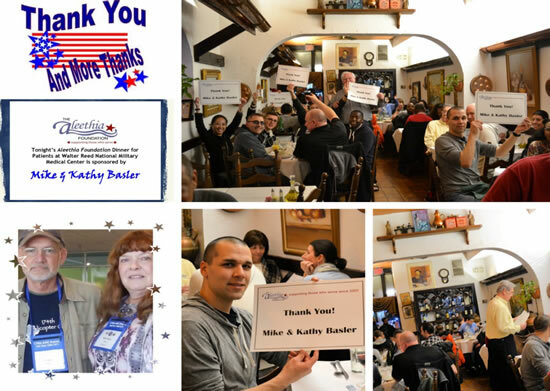 Mike & Kathy Basler from Oshkosh, Wisconsin, generously sponsored the dinner. Mike served in Vietnam as a Dustoff Crew Chief with the 498 th Medical Company (Air Ambulance)… best known as the “498 th Dustoff” … out of Lane Army Heliport in An Son. We are grateful to Mike for his commitment, dedication and service to this great nation. 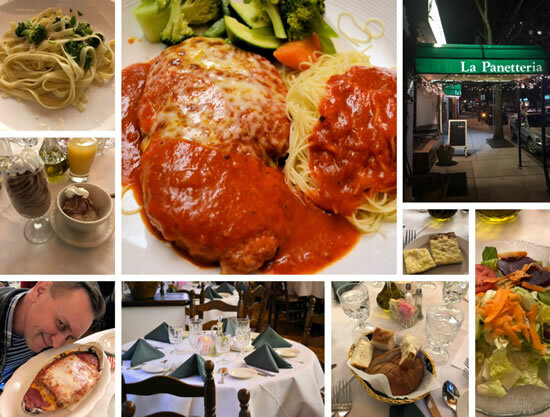 La Panetteria is a cozy, old-fashioned Italian restaurant which served up a delicious four-course dinner for 56 wounded/injured/ill service members, family members and guests. 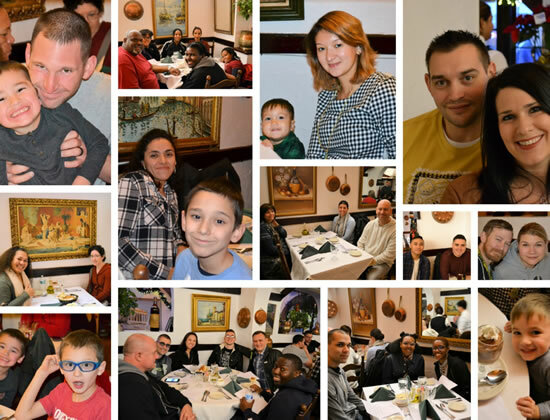 The room was filled with parents & children enjoying family time together and new and old friends laughing and sharing good times. wonderful evening for all! Grazie Mille!